Location: On the north side of Shore Road. Notes: Opened as part of the Southport and Cheshire Lines Extension Railway which ran between Aintree Central and Southport Lord Street in 1901; the station was named Seaside until 1.1.1912 when it became Ainsdale Beach. 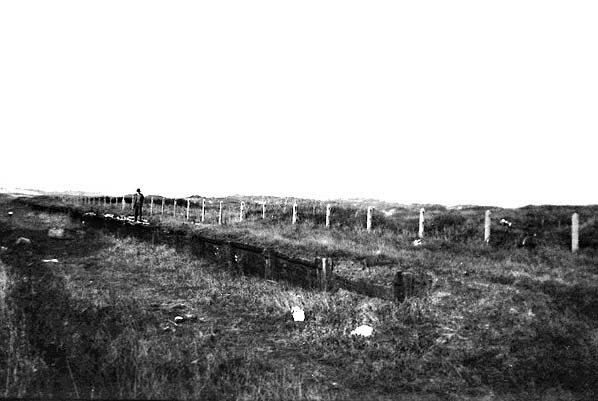 Ainsdale Beach Station stood on the north side of a level crossing and consisted of two platforms with wooden waiting shelters on each side. 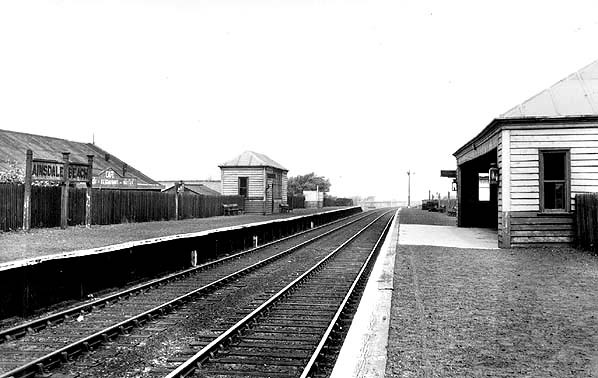 The line did not survive long into the nationalisation period and Ainsdale Beach Station closed entirely on 7.1.1952. 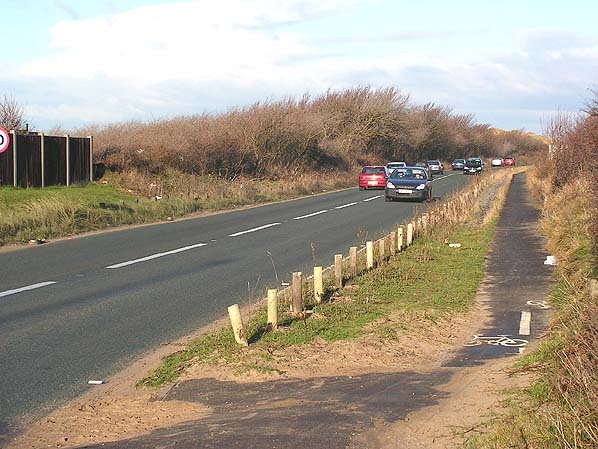 Today the route of the line between Birkdale Palace and Woodvale forms the Coastal Drive which runs between the extensive dune system that stretches along the Sefton Coast to the south of Southport. Today some of the stations fencing posts can still be seen at what would have been the rear of the southbound platform. Also still standing are a row of railway cottages just to the east of the station site.